The Rackham Recruiting Bootcamp Grant (ReBoot) is Rackham Graduate School’s initiative to support Rackham graduate programs in their efforts to boost the diversity of their student population. Specifically, programs can leverage ReBoot to increase the size of their pool of diverse applicants with strong qualifications for admissions. 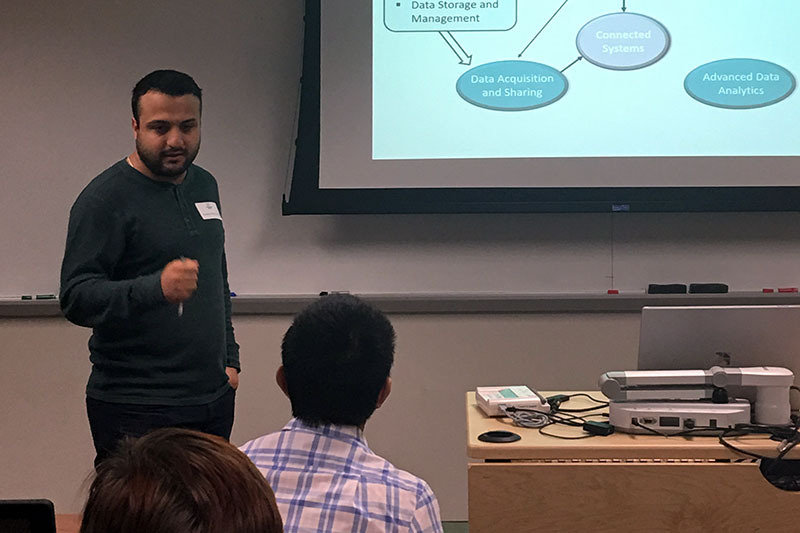 ReBoot contributes funding and other support for the organization of a yearly bootcamp, hosted by the graduate program for prospective graduate students. 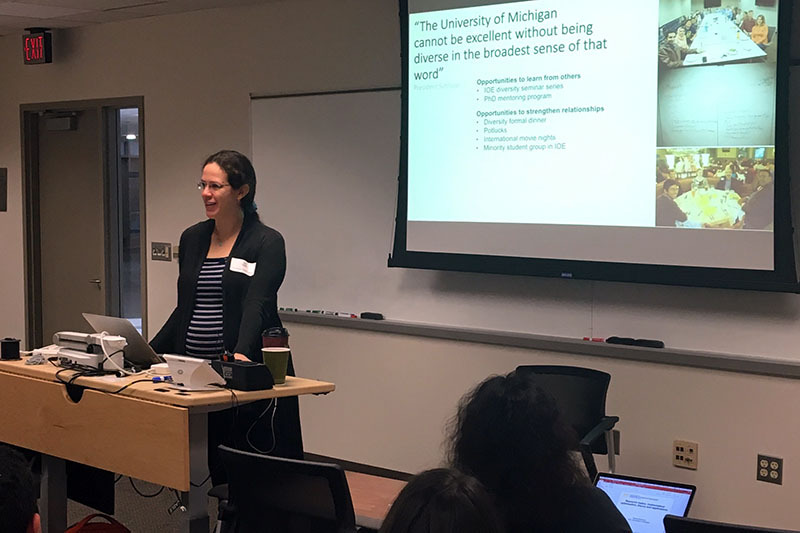 Rackham will share best practices and provide consultations to interested faculty on how to organize each bootcamp most efficiently in terms of cost and human resources. 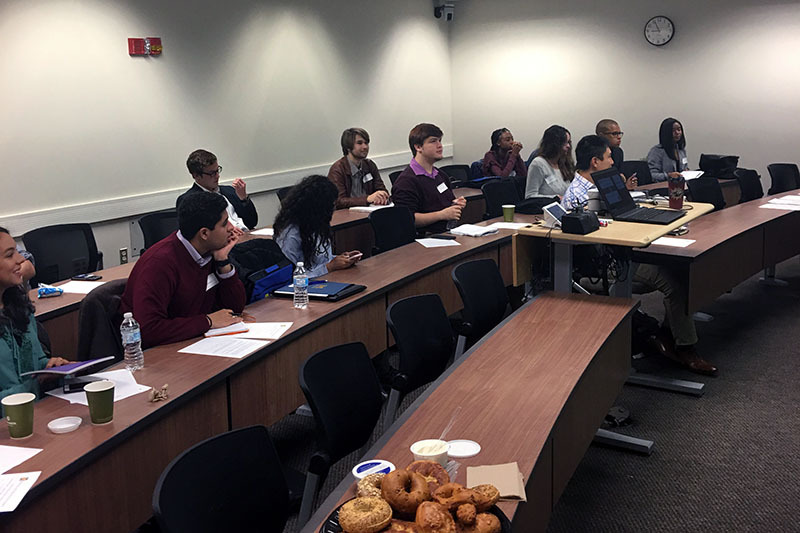 Rackham is strongly committed to supporting programs in organizing bootcamps that best fit their needs, and will engage with and provide guidelines to those preparing ReBoot applications. Rackham is also available to consult on bootcamp evaluations and assessments to be carried out by the hosting graduate program. This funding opportunity augments and complements the Rackham Recruitment Grants program, thus graduate programs can apply to both grants, as long as their proposed activities differ. For the 2019–2020 year of the ReBoot pilot, Rackham will only accept proposals from graduate programs affiliated, wholly or partially, with the College of Engineering. We foresee expanding this opportunity to other programs in future years. Individual or pairs of programs should organize a bootcamp, including setting the agenda, setting up a website with an application form, inviting applications, and selecting attendees. Programs are also responsible for administering travel scholarships for the attendees and managing reimbursements. 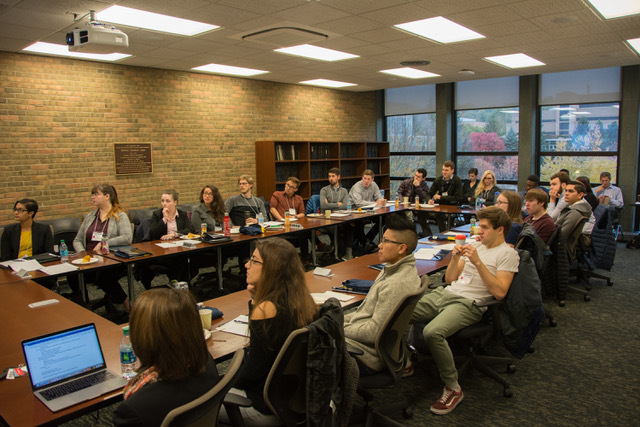 Rackham Graduate School will provide guidelines to the faculty leading the organization of the bootcamp, and support them in organizing all the activities surrounding the bootcamp. Moreover, Rackham will provide best practices for an efficient administrative execution of the bootcamp. Programs should track the success of their bootcamp through post-event surveys and by tracking yield from the bootcamp into their graduate programs. 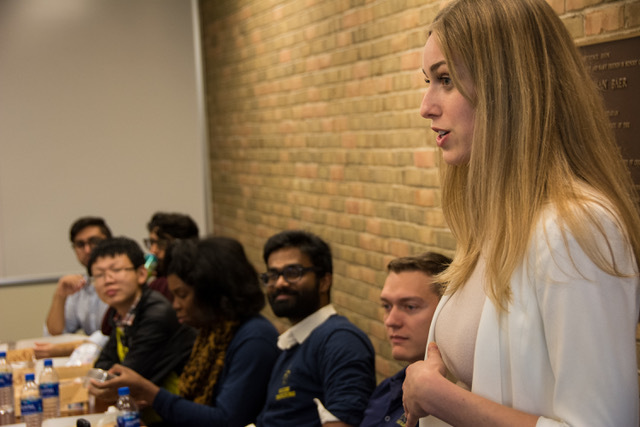 At a minimum, participants should be surveyed following the bootcamp, and soon after the U-M graduate studies accept/decline deadline (usually April 15). This effort is grounded in the University’s and Rackham’s DEI mission. Thus, bootcamp participants should represent a diverse group of domestic students, based on RMF criteria. The selection process should have a strong focus on assembling a participant cohort that has strong admission prospect for the graduate program, and presents a highly diverse profile. 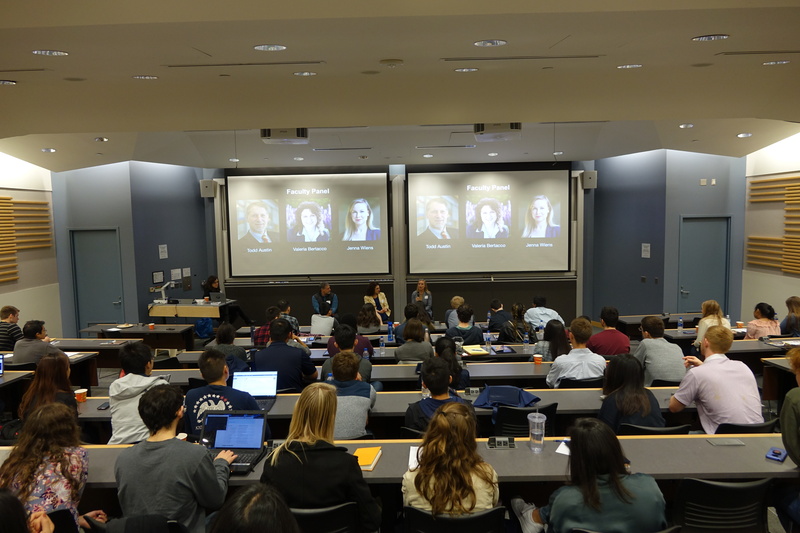 Similarly, bootcamp activities should include faculty and student speakers who represent a wide range of diverse members of the program’s community. We estimate that the cost of a bootcamp, including event and student expenses, will range from $12,000 to $17,000. Graduate programs may apply for one ReBoot per year, for up to $8,000. Applicants should secure cost-share from the College of Engineering and from their graduate program. The cost-share contributions should amount to at least 50% of the proposed budget. For approved proposals, Rackham Graduate School will disburse grant awards at the conclusion of the bootcamp and after receipt of the ReBoot annual report. ReBoot recipients must notify Rackham of the date of the bootcamp at least two months before its occurrence. They should also provide a list of confirmed bootcamp participants, along with their university affiliation, academic status (junior, senior, super-senior) and GPA, and lastly, whether they are RMF qualified. Rackham programs can re-apply for ReBoot annually. We encourage programs to leverage this multiyear pilot period to explore innovative structures in their bootcamp programming and activities to fit their program’s need. Programs applying for this grant are encouraged to request that the College of Engineering provides fee waivers to domestic students participating in the program when they apply to a College of Engineering’s graduate program. For the 2019–2020 year of the ReBoot pilot, faculty from any Engineering graduate program can submit an application. Each graduate program may receive only one ReBoot award; so, in the instance that several faculty from a same program are interested in submitting a proposal, we encourage that they join and coordinate their efforts. The PI of the proposal, if awarded, should be appointed “External Recruitment Chair” by its graduate program. A bootcamp should take place between September 1, 2019, and May 1, 2020, preferably in the early part of the fall term. Bootcamps should take place over one to two days and include workshop-like activities, hosted by the graduate program applying for ReBoot. 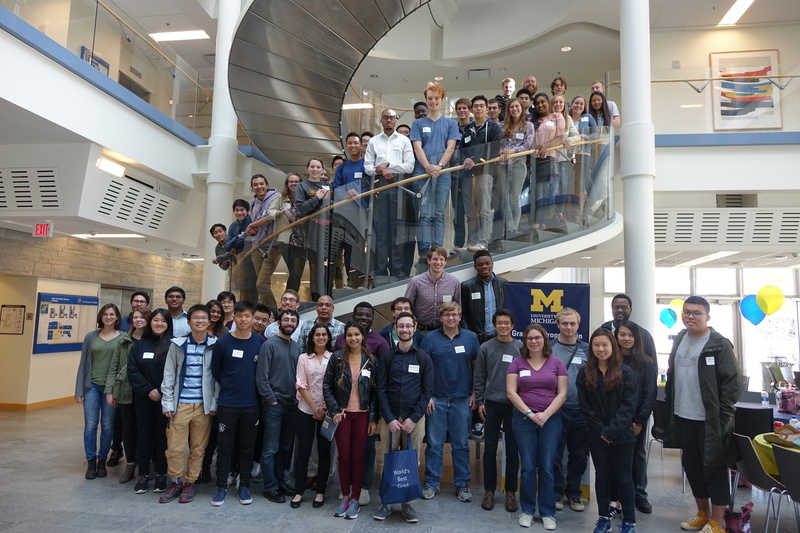 Bootcamp participants shall be undergraduate students, both from the University of Michigan and visiting from other institutions. The bootcamp should be organized so that participants can: 1) visit their graduate program of interest, 2) engage with the graduate program’s faculty and graduate students, 3) better understand the breadth of research in their field of interest, and 4) receive training aimed at improving their graduate-school application. Bootcamps are meant to be organized by an individual graduate program, or by two programs in related disciplinary domains. Students attending a bootcamp shall be undergraduate students with junior or senior standing. They can be visiting from other domestic institutions or be a University of Michigan undergraduate student. Programs should place a strong focus on inviting a cohort of diverse students with strong qualifications for admission into the hosting program. 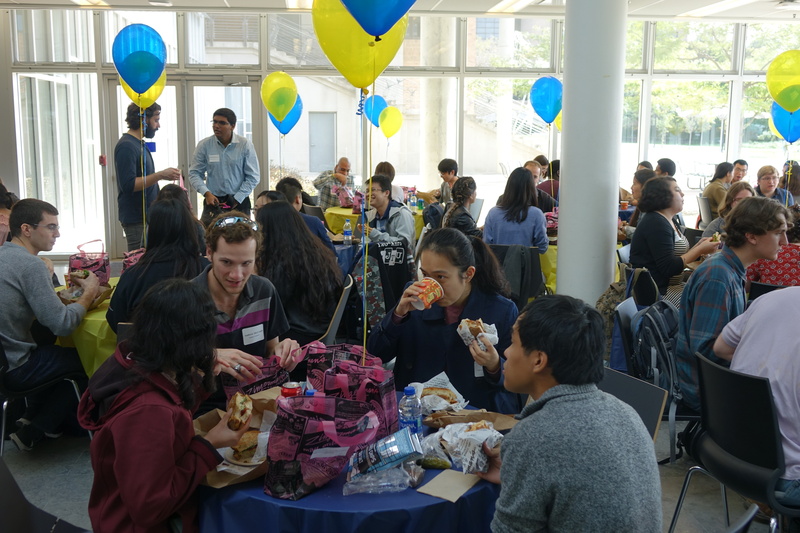 To this end, we encourage programs to invite Summer Research Opportunity Program and Summer Undergraduate Research in Engineering alumni to apply for the program’s bootcamp. Moreover, we request that at least 40% of the bootcamp participants fulfill Rackham Merit Fellowship (RMF) criteria. 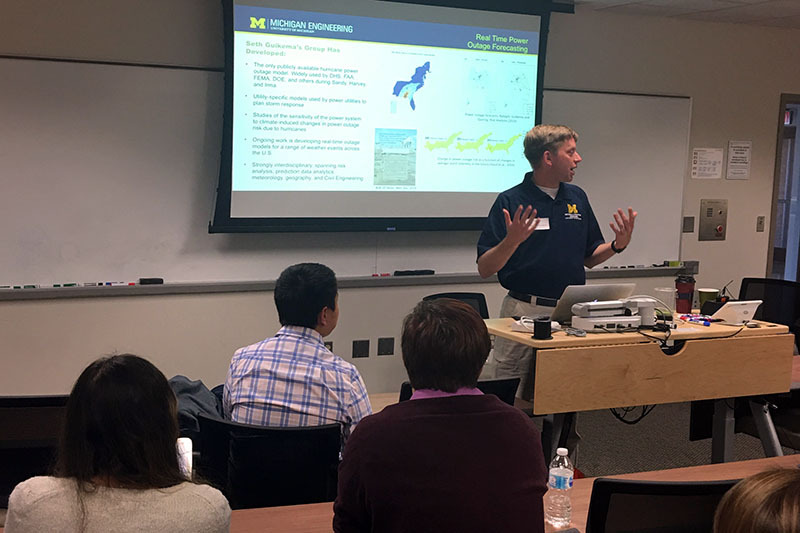 Bootcamps should provide the opportunity for junior and senior undergraduate students to explore the breadth of research opportunities at U-M in their graduate program of interest. Additionally, bootcamp activities should inform the attendees of structure and milestones of graduate degrees offered, and provide insight on climate among the current students in the program. 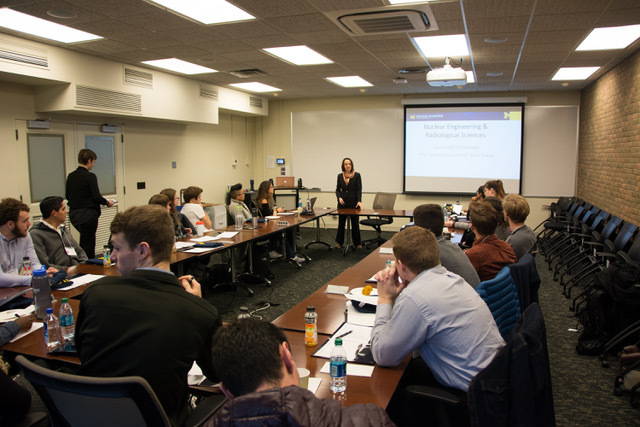 A cornerstone of ReBoot is that each funded proposal should include one activity to support the attendees in making progress towards the preparation of a strong graduate school application (examples include a mini-workshop on how to write a personal statement or a statement of purpose, or how to select, contact, and provide information to recommendation letter writers). The depth of bootcamp planning, organization, and timeline. The planned approach in securing a strong set of diverse applicants to the bootcamp. Demonstrated commitment of the faculty, program, and department leadership to the proposal, including willingness to share costs and to support the initiative administratively. Summary of the current status of incoming graduate student diversity within the degree program, including strengths and weaknesses. Statistics can be found in Rackham’s Program Statistics section. Budget (one page) should detail expenses to support and execute the organization of the bootcamp and include committed contributions of financial support by all sources. The budget page should include the total budget amount, in addition to the amount being requested from Rackham (maximum $8,000). Letter of support (one page) from the department chair or program director.  For more information about ReBoot, please contact Associate Dean Valeria Bertacco at rackhamreboot@umich.edu.